It's never too early to talk about Christmas, not for me anyway. 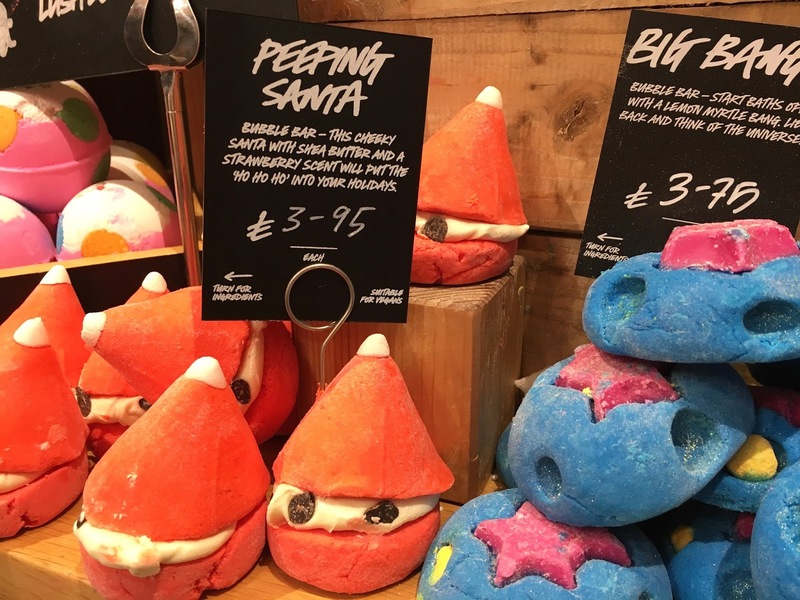 Sorry if it is for you guys, but you'll just have to deal with it because it's that Lushmas time of year again. 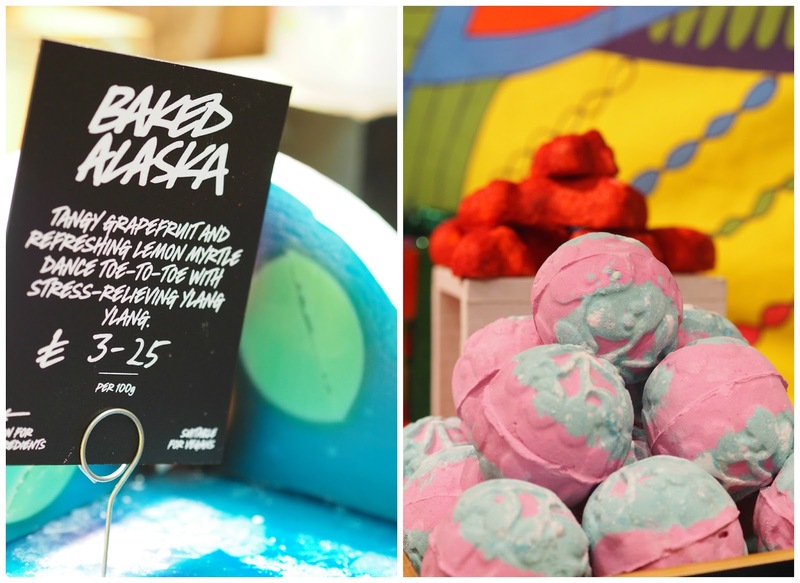 That time when Lush create magical lotions and potions and bath bombs galore full of sparkle and heady fragrance. 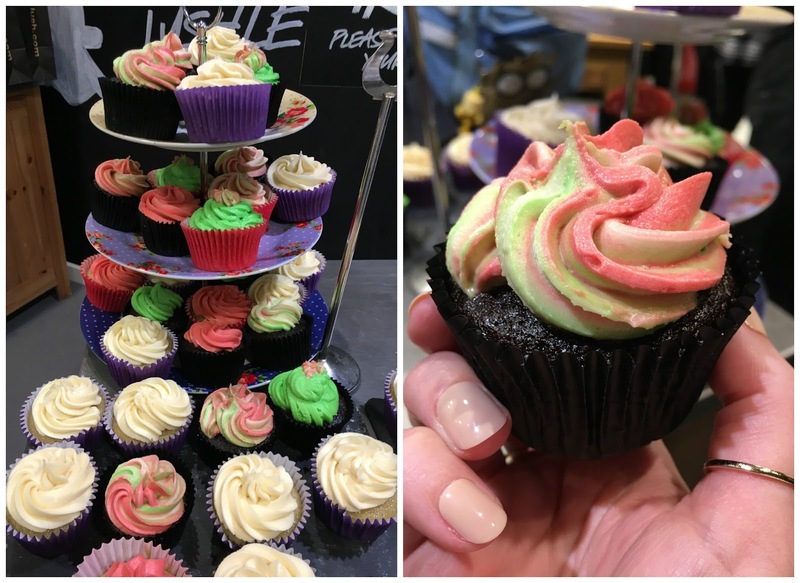 I was lucky to be invited to the 2016 Christmas launch and product preview at our Leicester store and I headed down with a few blogger gal pals. The staff were waiting for us with a huge welcome (as always) and we were ushered in. 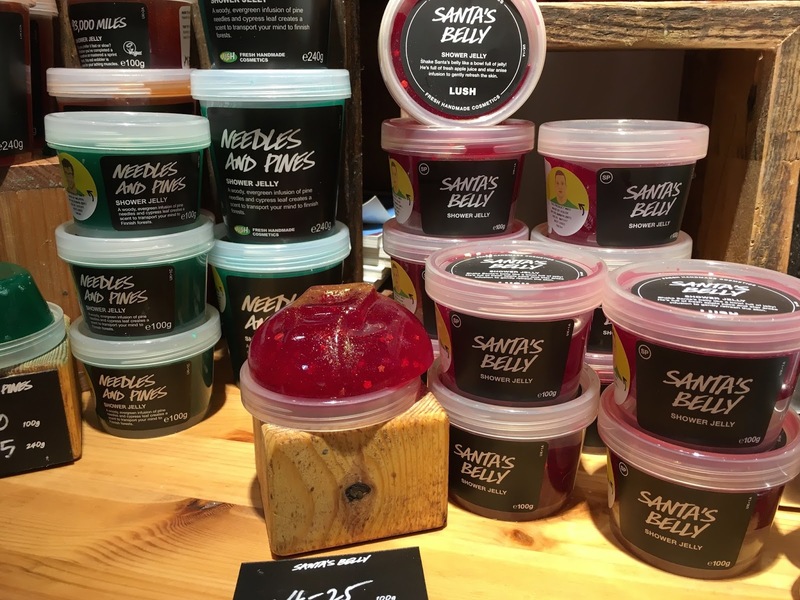 Boy, it was busy with so many Lush fans crammed inside, ours is not the biggest store either so it was a tight squeeze at times, none of us cared though as there was such a buzz and excitement AND Christmas music playing away to ramp up the festive feels. Eeek!!!!! As well as Christmas we got to preview the Halloween goodies too. We were left to have a mooch around with cameras in hand, test the products and have a jolly good time. Just look at those sparkly pumpkins filled with juniper berry oil, lime and grapefruit oils and all that glitters, perfect for those Halloween party nights. 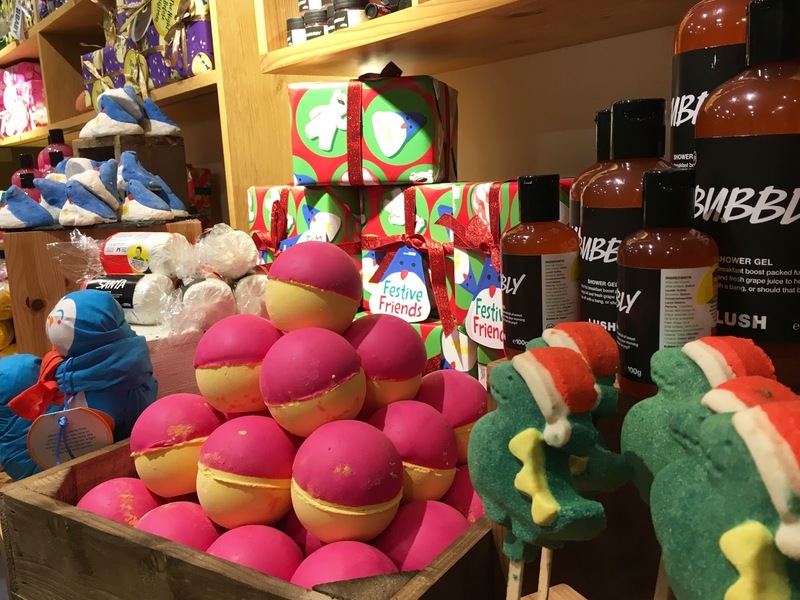 How pretty do those Autumn leaves look sitting alongside Lord of Misrule and the BOO bath melt! I was gutted I didn't pick a leaf up on the night, but I'll be going back get myself one. I can't wait to soak in a hot bath on a dark cold night with an Autumn leaf thrown in, followed by PJ's and a hot chocolate. Bliss. 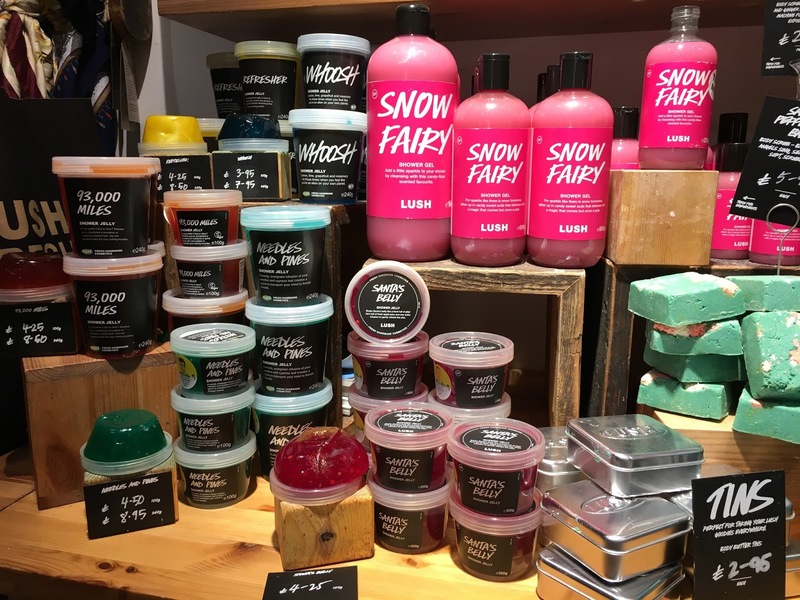 Lush certainly have pulled out all the stops this year with so many new products but don't worry they've kept some of the old favourites too, with the ever popular Snow Fairy making an appearance, I mean how could they not bring Snow Fairy back? They've even added a Snow Fairy body conditioner. Sitting alongside Snow Fairy are Rose Jam and Bubbly, which is another shower gel I absolutely love, Bucks fizz in your shower gel, what's not to love about that? Then there's the cutest little shower jellies, Santa's belly makes me giggle just looking at it, not sure why??? Must be the wobble. 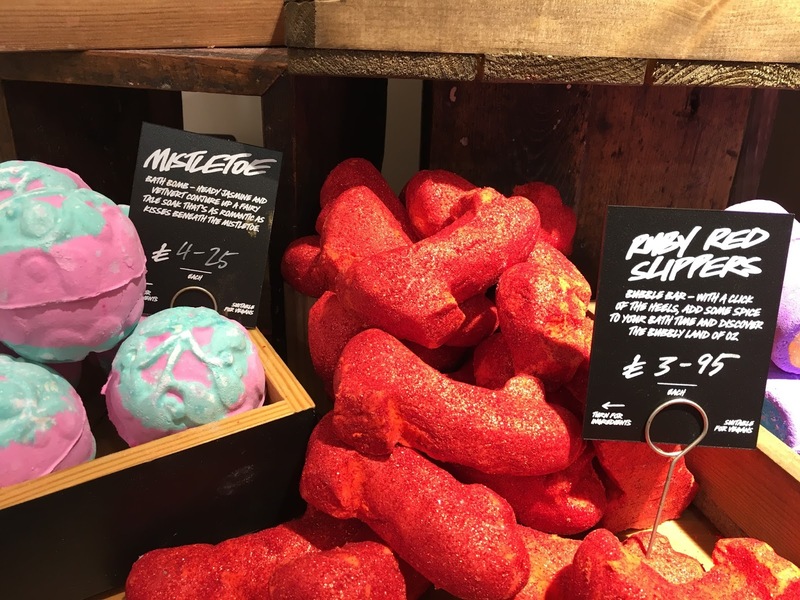 I was like a kid in a candy store when it came to discovering all the new bath bombs and melts, oh my God, I literally had to sniff everything. 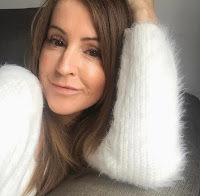 There's just so many to go through in this post, it'd go on forever and ever but I think my favourites were peeping Santa and The Christmas penguin. As we know some of the Lush fragrances can be quite powerful and smack you in the face a bit but there are some that are a little more delicate on the nose, there's definitely something for everyone. 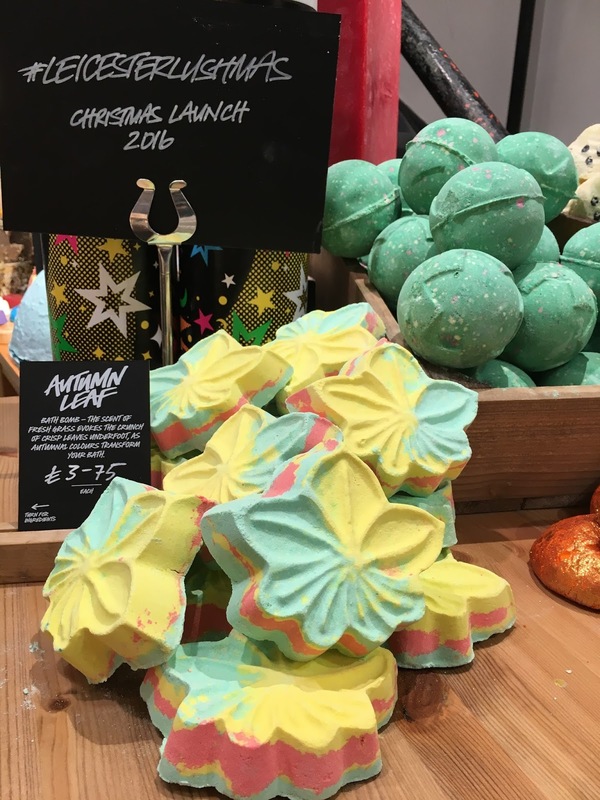 All of the bath bombs would make fabulous stocking fillers and I know I'll be buying a few as little extras. The re-useable bubble bar wands are so lovely for all the little princesses out there, such fun. As if the Christmas delights downstairs weren't enough we were asked if we wanted to go upstairs to make something of our own, hell yeah, I was at the front of the queue with Lianne from The Brunette Says and when we got up there we were forced to eat the most awful vegan cupcakes, I even had to have a second one to make sure it was as awful as the first, he he he!!!! We got to play around and mix up our own Big Blue bath bomb, such fun, and then we went for round 2 and made ourselves a Creamy Candy bubble bar. I know some didn't dive in quick enough for round 1 but if you snooze you loose and it's not our fault that Aiyaaz loved us so much he asked us back for round 2 and the Creamy Candy. 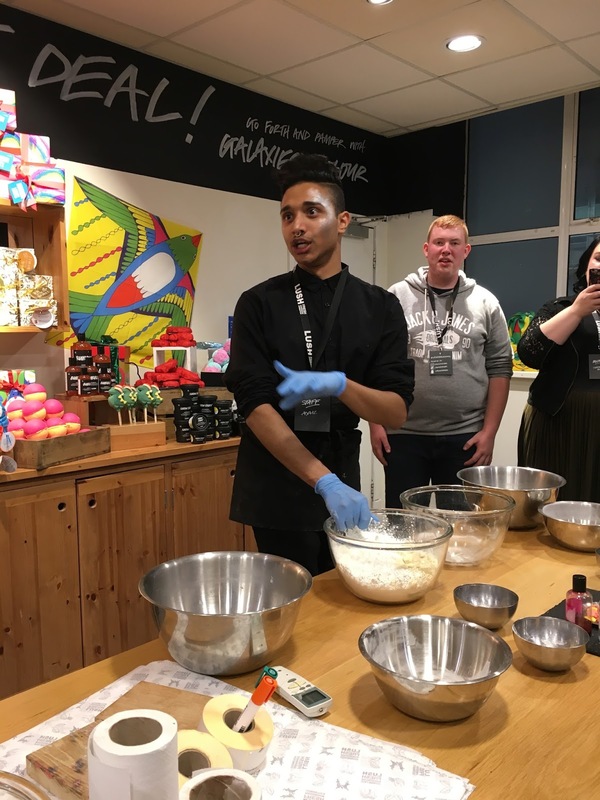 Aiyaaz is a total nutcase by the way, but a fabulous nutcase, hilariously funny and 100% the type of person to be working at Lush. He even wanted in on our selfie action! If you're not sure what bits to pick up for someone this Christmas then worry not, they have plenty of gifts all wrapped up and ready for you. You just have to choose one, hand over the cash, write on the tag provided and stick it under the tree. No messing. On my shopping list? Snow fairy, goes without saying, Sleepy body lotion, Santa's belly and a bit of bubbly, oh and a couple of bath bombs! Not too much. 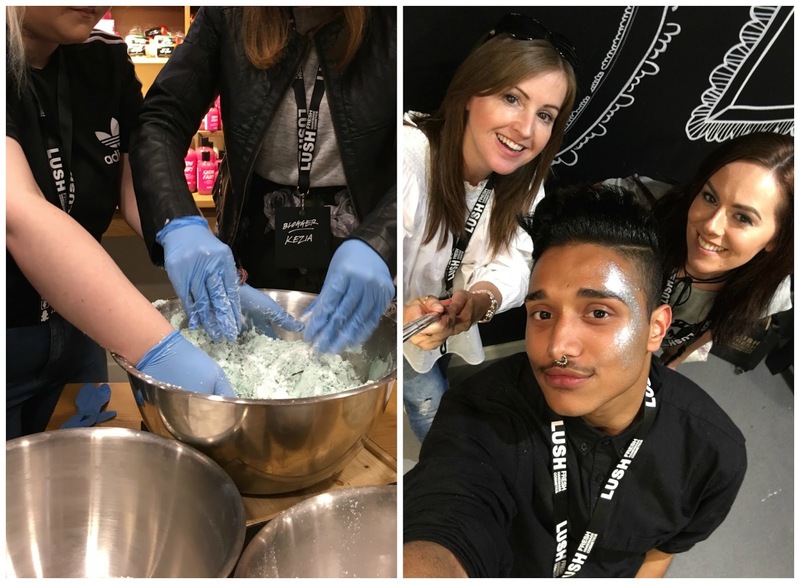 Thank you Lush Leicester for inviting me along to a most enjoyable evening. Have you seen the Christmas range yet? What's your favourite? All looks sooo lovely!!! I was invited to our one in Crawley, but I was in Spain! They always look so much fun from your pics!